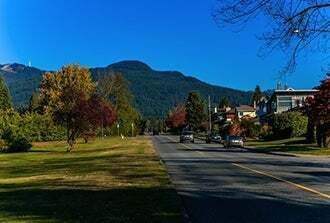 A lush residential neighbourhood nestled at the base of Grouse Mountain, Edgemont Village is home to a close-knit community. Quiet cul-de-sacs, tree-lined streets, and high quality education options make Edgemont ideal for families. Life in Edgemont revolves around the charming village. Locally owned and operated stores and a variety of community services â€“ the library, community police office, and regular community events â€“ make it the centre of day-to-day life for residents. In vibrant Central and Lower Lonsdale you are just steps away from a host of fantastic restaurants, boutique shops and entertainment options. Lonsdale has changed rapidly over the last 10 years. 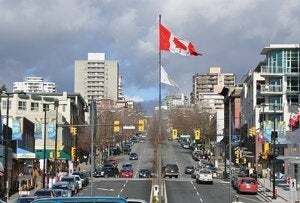 A mix of single family homes and low-rise apartments have been augmented with denser high-rise apartments popular with younger residents along Lonsdale Avenue. With its close connection to downtown Vancouver, thanks to the Seabus at Lonsdale Quay, and easy access to world-class adventures on the local mountains, Lonsdale allows you to live an active North Shore lifestyle with all the conveniences of the city. Designed to attract affluent families to the North Shore in the early 1900s, The Boulevard or Grand Boulevard is known for its great location and grand homes. It offers an eclectic mix of homes from character houses to custom built dream homes. 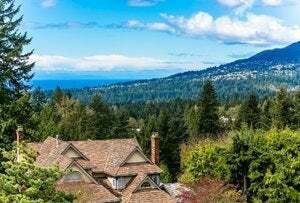 Wide lots face the magnificent central garden boulevard that separates the roadway and many homes offer views of the Burrard Inlet, the mountains, and downtown Vancouver. Canyon Heights is a great family neighbourhood. Mountain views. A serene atmosphere. High caliber schools. 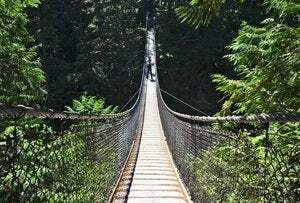 It embodies the best of what North Vancouver has to offer. This neighbourhood features primarily single family homes on large lots. Backing onto Grouse Mountain, Canyon Heights features an abundance of lush greenery and easy access to popular running and hiking trails. It's conveniently close to amenities, arterial routes, and the popular Cleveland Elementary, Canyon Heights Elementary and Handsworth Secondary School. 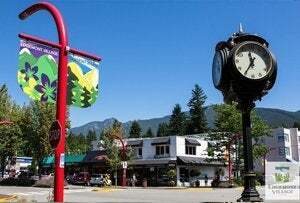 Tucked away in the mountains, Lynn Valley is a great place to live for families. Miles of trails through lush forest are married with good shopping and a great sense of community spirit. Generations grow up together in Lynn Valley in a neighbourhood where everyone knows your name. Made up of mostly single family homes on substantial tree-filled lots, it is on the verge of a transformation as new condo projects underway near the Lynn Valley Center open it up to younger buyers. With a walk score of 93/100, it's a great place to walk your dog, your baby and yourself. 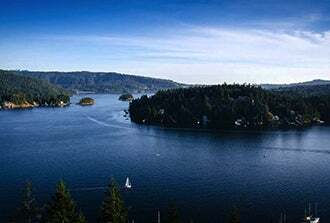 Located at the foot of Mount Seymour, Deep Cove is one of the most scenic spots in the Lower Mainland. An outdoor enthusiast's paradise, its proximity to forests, mountains, skiing and water, make it the place to bike the trails, paddle the waves, or run the paths. The small, waterfront community, only 13km from Downtown, feels far removed from the hustle and bustle of the city. Sporting a West Coast vibe, the tightly knit community is known as laidback and artsy. Friendly neighbours. Local galleries. Concerts in the park. Great food. This is Deep Cove.